Keep Center Pieces Simple: No need to spend money here…. Do a quick sweep around the house. 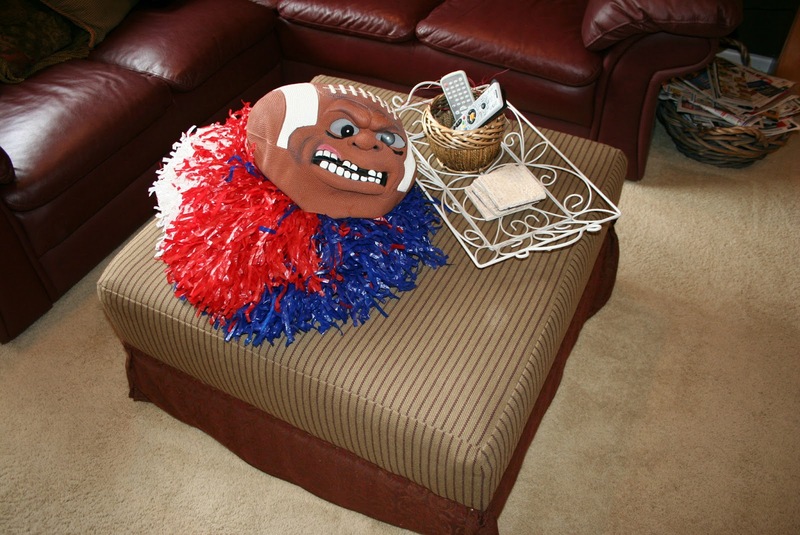 Mine includes that box of Halloween decorations that houses those High school Pom Pons and the crazy football head mask. One more trip hits the garage for the husband’s football and bull horn. 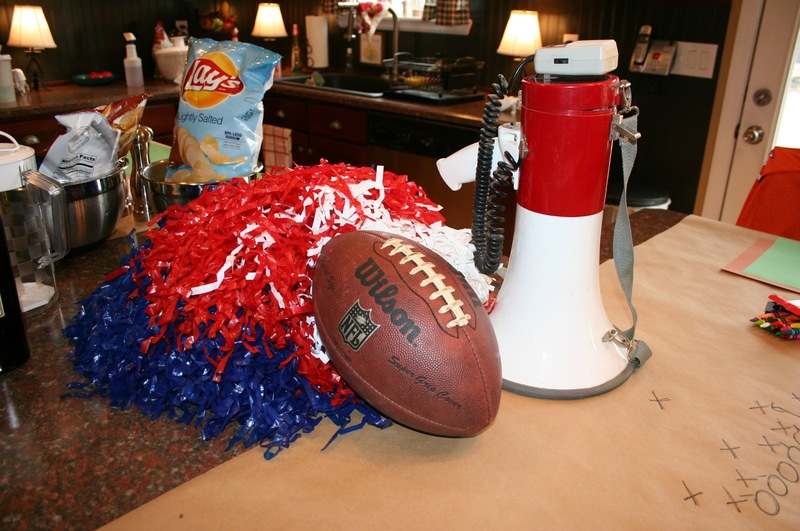 Together not only do they provide a focal point but they are practical for pre-game ball tossing, cheering (and yelling) during the game. For the kids: Grab that Dollar store roll of brown shipping paper and some construction paper. 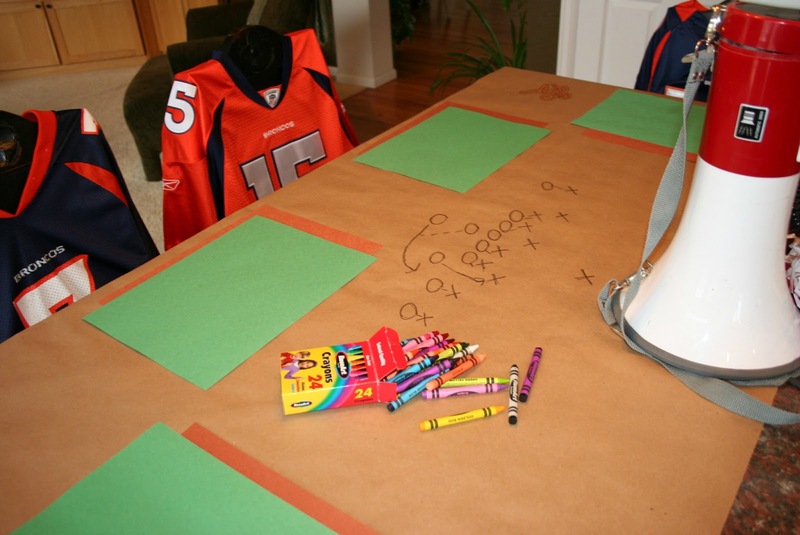 Kids young and old will enjoy writing on the table without getting yelled at. 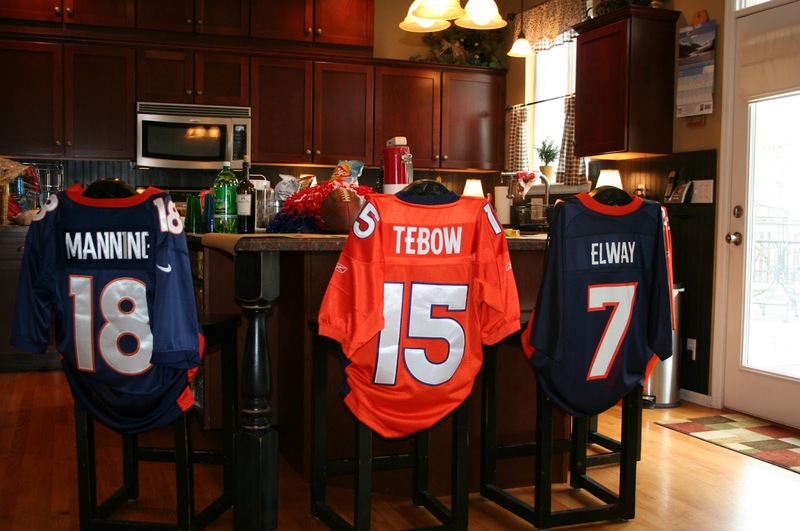 Invite the players that didn’t make it: Raid the closet of any jerseys and use them over bar stools or chairs. 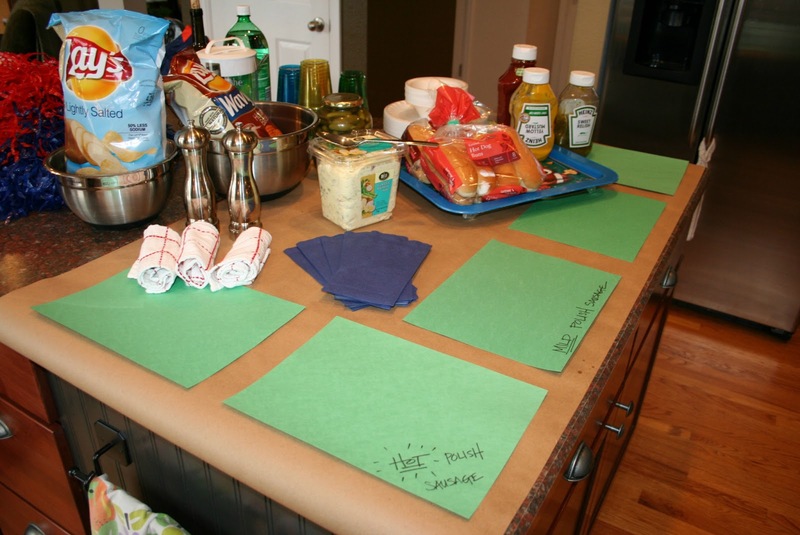 Oh yeah…… the Food: Use that same roll of shipping paper and construction paper to set and label the food station…… Clean up is a snap and it’s a nice way to integrate areas.